10 Cloverfield Lane © PARAMOUNT ALL RIGHTS RESERVED. The British Film Institute (BFI) recently celebrated the thriller genre in its many forms with a season of films and events from October to December 2017. 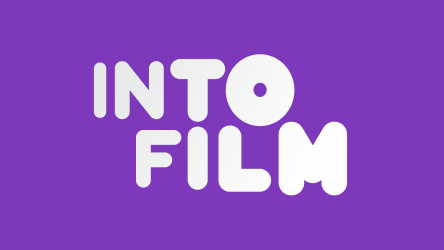 We supported this with a specially-curated strand at the Into Film Festival, which was partly programmed by young people from around the country. 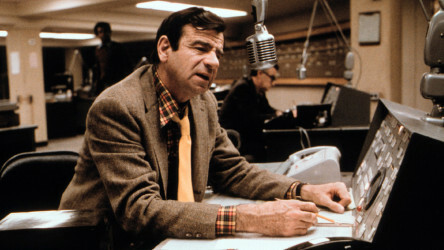 Characterised by mystery, tension and excitement - with the audience often deprived of key information throughout - the thriller has been a popular genre throughout film history, perhaps most associated with the many works of Alfred Hitchcock. Thrillers can take many forms, be they political, psychological or suspenseful, and often merge with other genres including action, sci-fi and horror. Notable examples of these include The Bourne Identity, Ex Machina and Psycho. With the launch of our new DVD distribution service, we think it's the ideal time to recommend a number of little-seen greats. presented below in alphabetical order, with all-but-one available to order to watch in your film club. Additionally, our 17-year-old Young Reporter Eden offers up her thoughts on her favourite three from the list. 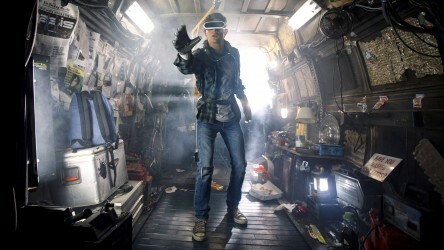 The secretive nature of this production and the intriguing, unclear relationship it has with its predecessor, Cloverfield, meant that the mysterious games had already begun for audiences before the film even started. It has been called a "spiritual sequel" to the found footage monster movie hit, but is a very different beast in tone. John Goodman gives one of the best performances of a glittering career, as we're asked to work out the difference between fact, fiction and fantasy before the film's excellent twist reveal. 10 Cloverfield Lane is an extremely tense, claustrophobic and psychological film. It is set in a doomsday bunker and as the viewer you feel just as confused and isolated as the characters do. This is brilliantly acted and one of the few films where it was just as intense on a second viewing when you know exactly what will happen. A young woman wakes up as a prisoner in an unfamiliar bunker, with her captor claiming a widespread chemical attack in the outside world. A film guide that looks at 10 Cloverfield Lane (2016), exploring its key topics and themes through informal discussion. When it comes to creating, sustaining and escalating tension, director Paul Greengrass (United 93) is up there with the very best. Barkhad Abdi had never acted before this, but gives a fearsome performance as the leader of a Somali pirate crew who hijack the U.S. container ship Maersk Alabama. 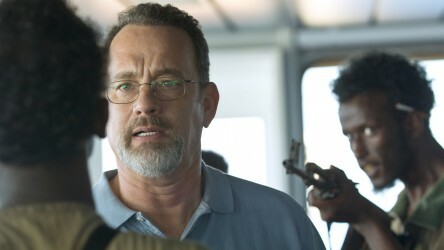 Based on a true story from 2009, Captain Phillips is an all-action nail-biter, with Danish film A Hijacking providing a superb counterpoint, approaching a similar subject from a different but equally fascinating angle. British director Joe Wright has taken on a wealth of genres across his films to date, from period drama (Pride & Prejudice) to fantasy (Pan). 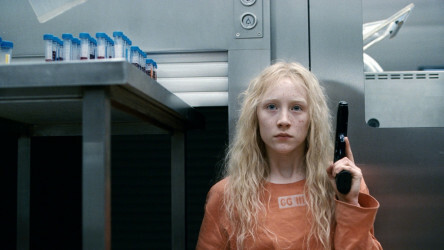 This film is a fairy tale-like action/thriller hybrid, led by Saoirse Ronan (who had previously worked with Wright on Atonement) as she further demonstrates her impressive talent, playing the eponymous sixteen-year-old assassin. Hanna features lush visuals, exhilarating set pieces and a killer soundtrack from electronic pioneers The Chemical Brothers. Hanna is the perfect combination of genres. At first glance it is an action thriller with all the enjoyment of chase scenes, fights and suspense. At its core, however, is a coming of age film following a teenage girl learning about life in a very unorthodox way. This is an enjoyable and extremely well made production with heart. Film noir veteran Humphrey Bogart was famed for his roles as the jaded protagonists of Casablanca, The Maltese Falcon and The Big Sleep. But then along came this superb noir thriller which takes an actor known for being likeable and has him play against type, making him suspicious and untrustworthy as he's accused of murder. Much like films such as Primal Fear and Take Shelter, this asks a simple question without an easy answer: do you trust this man? 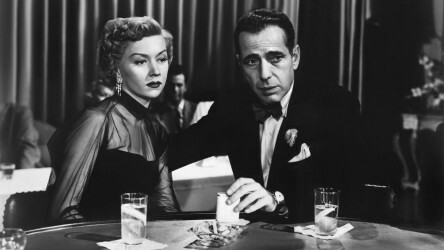 Please note that In a Lonely Place is not currently available to order, but we hope to stock this film in due course. Terrific film noir about an alcoholic screenwriter who is given an alibi for murder by a trusting young woman, who then falls in love with him. 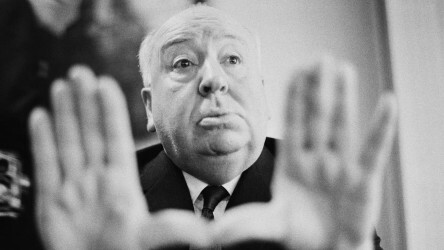 Alfred Hitchcock was dubbed 'The Master of Suspense' for a reason. Many of his most cherished classics were made in the 1950s and early ‘60s, but here - a couple of decades earlier, just before the outbreak of World War Two - is a film which displays his flair for creative storytelling in a might-be murder mystery. It's full of wit and humour, with the craft on display showcasing the director's best traits. It was also Francois Truffaut's favourite Hitchcock film! On a train heading across Europe just before the start of World War Two, a nice old lady disappears. Or does she? What's in a name? This psychological thriller uses flashbacks cleverly to keep viewers gripped in an intense and often chilling drama. The title refers to the various names Elizabeth Olsen (in her breakout role)'s character is known by at different points throughout the film, and thus is a study of identity. We observe her younger days as part of a controlling cult through her present-day nightmares, and wonder if she'll ever truly be free of her haunting past. Features a quite terrifying performance from John Hawkes as the cult leader. Some of the common tropes of a thriller may be absent from Martha Marcy May Marlene, but it in no way lacks suspense. It is a truly uncomfortable watch from beginning to end and will leave you feeling completely unsettled. This film may be very slow and devoid of much action, but if you enjoy psychological thrillers and realism, it's a brilliant watch. Psychological thriller that sees a runaway dehumanised and indoctrinated at the hands of a manipulative cult leader. This iconic German thriller is an extremely influential cult classic. Its slick, fast-paced narrative is punctuated with garish aesthetics and comprises the clever telling (and re-telling) of a simple sequence of events in which a young woman has twenty minutes to secure 100,000 Deutschmarks for her boyfriend. We follow her quest across three different versions, all presented in real time in Tom Tykwer's high-octane adventure, which has much in common with the more modern Victoria, a thriller entirely shot in one continuous take. Re-made in 2009 starring Denzel Washington and John Travolta, the original version - adapted from John Godey's novel - is a seminal heist thriller and influenced films from Quentin Tarantino's Reservoir Dogs to Spike Lee's Inside Man. Four men with aliases hijack a US subway train and demand $1 million within one hour, lest they start killing hostages. A less serious companion to true story Dog Day Afternoon (which was released the following year), The Taking of Pelham One Two Three is a remarkably engaging and enjoyable thrill-ride. Inventive thriller about a gang who hijack a New York subway train and demand ransom, with a transit police officer their only obstacle. This mind-bending, genre-mashing mystery thriller is a Spanish cult favourite which references the likes of Pan's Labyrinth. Encompassing sci-fi and horror elements, it follows Hector, a man who sees something strange in the woods near his house. A slave to his curiosity, he quickly becomes fearful for his life and takes refuge - though he doesn't realise it - in a time machine. From there, Hector must quite literally save himself before events spiral irrevocably out of control in this smart and intricate indie gem. Low-budget Spanish-language time travel thriller that relies on clever ideas rather than flashy effects to make an impact. 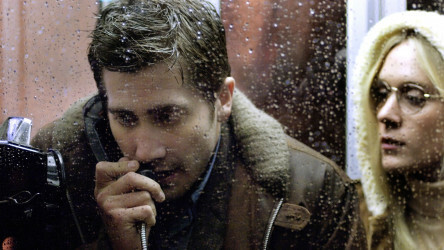 David Fincher's adaptation of Robert Graysmith's book investigating one of the world's most notorious serial killers is a stunning foray into criminology. Graysmith (Jake Gyllenhaal), David Toschi (Mark Ruffalo) and Paul Avery (Robert Downey Jr.) are a cartoonist, an inspector and a journalist respectively, each tackling the case in their own way. Zodiac is a forensic examination of the mind and how passion can lead to obsession, in this menacing period piece. Michael has an MA in Film Studies with Screenwriting from Sheffield Hallam University. He has previously worked at the British Council and on the BFI Film Academy, and has volunteered at organisations including Sheffield Doc/Fest and Cinema for All. 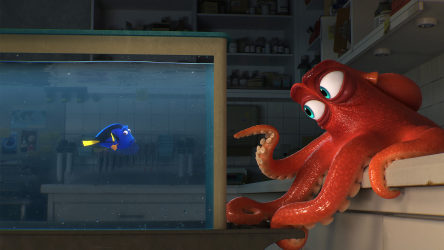 There are so many films to look forward to in 2018! We have picked out 20 of the most exciting - 10 for Primary, 10 for Secondary.